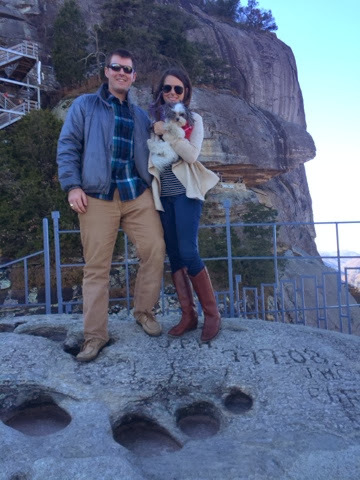 If you read Friday's post, you know that my sweet bf and I headed to Asheville for the weekend to celebrate three years together (on Tuesday). 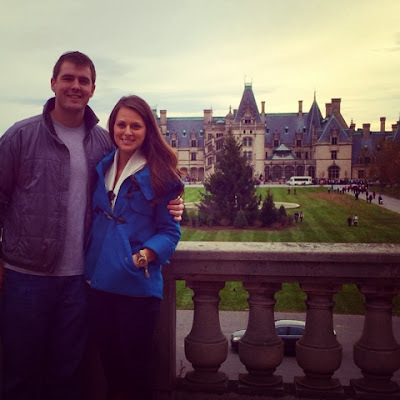 I have been wanting to go to Biltmore for forever, so SW planned a little mini-trip for the weekend -- and we had such a great time! This house is so incredibly gorgeous! I can only imagine what it was like to grow up in a home as grand as this one. The house was so gorgeously decorated for Christmas, but unfortunately we could not take any pictures inside. There were 64 Christmas trees decorating the home -- each one as exquisite as the next. And many of you know how much I love Christmas time! Saturday night -- after leaving the property for a bit -- we headed back to the estate to Antler Hill Village. 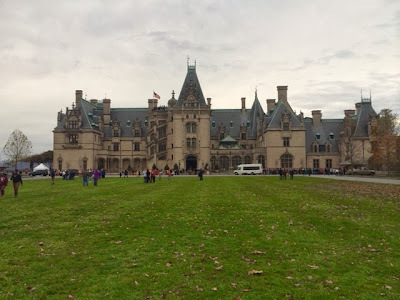 We both really enjoyed visiting Biltmore Legacies -- which gave even more info about the Biltmore family. One thing I love is how involved the Vanderbilts were in their community. 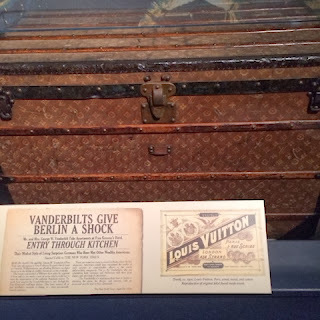 Also, how incredible is this Louis Vuitton trunk. I'll take that, please. 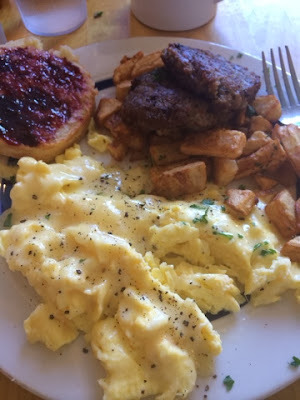 Sunday morning, we started our day with breakfast at the Sunny Pointe Cafe in West Asheville. I had read in several places that this was a breakfast that was worth the wait -- and we definitely agreed. 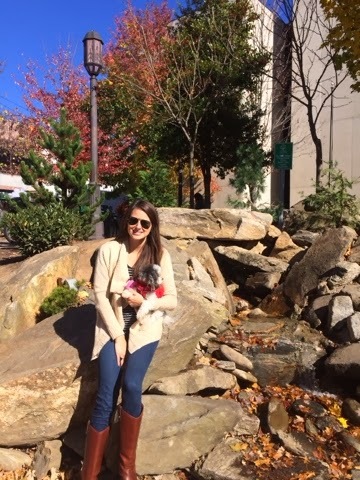 We strolled around downtown with Sophie for a couple of hours. I found a neat little bead shop by accident -- SW mentioned that there might be one, and right when he said it, there was one on our right. So of course we checked it out. We also stopped by Mast General Store, a few other local shops, and finished it up with ice cream from the Marble Slab Creamery. 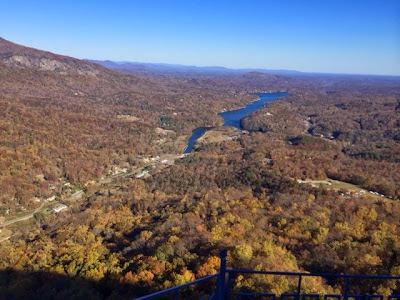 We were in the car when I mentioned that I wouldn't mind going up the Blue Ridge Parkway -- so SW hopped on it and we ventured up to Chimney Rock. Neither of us had been, and it was definitely a fun experience. 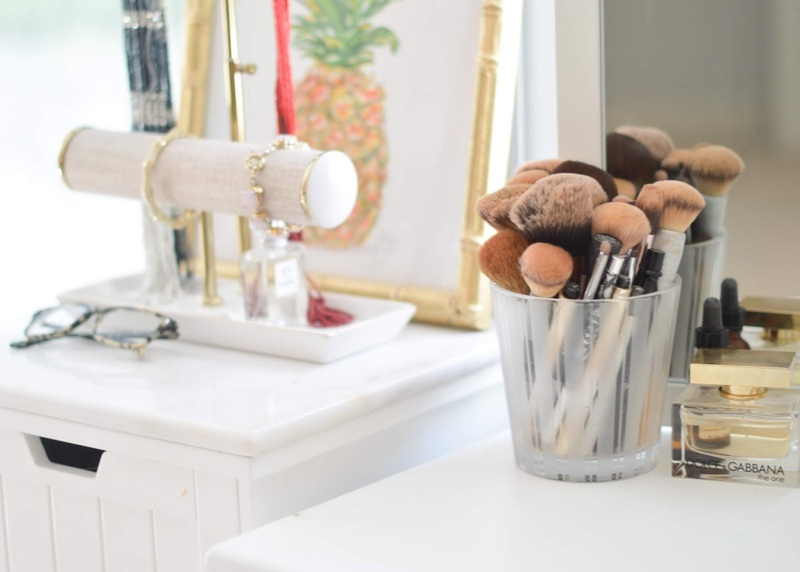 How gorgeous is this view? It was definitely breezy at the top -- and the hike up the stairs was definitely a workout (or maybe I'm out of shape?). I wore Frye boots -- and though I love them, they were not the best for this outing. So many were in tennis shoes or hiking boots, which I thought was silly if they were just going to the lookout at Chimney Rock. I was wrong. The bottoms of my boots were so slippery -- thank goodness for SW helping me around the rocky surface. Needless to say, we had a great weekend in Asheville. We would both love to go back, now that we've been and know what to expect.